Perfect for the jogger. 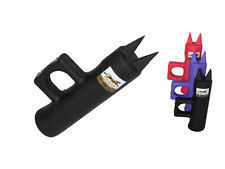 The Ku offers a powerful stun gun and a sharp edge for defending yourself. 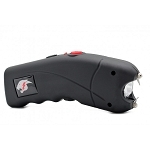 Cheetah KU Stun 4.8 Million Volts Rechargeable Stun Gun (Model CH-41).